I haven’t blogged for about a week. Last week I had a cold but it wasn’t that bad that I needed to take some time off work. I did take a break from writing though. I pushed through the week, knowing that I could somehow catch up with some rest on the weekend. Which I did need too and today I am feeling better. So now I am back and participating in the November Challenge of taking a Photo a day. I am really excited about blogging and generally just writing again. 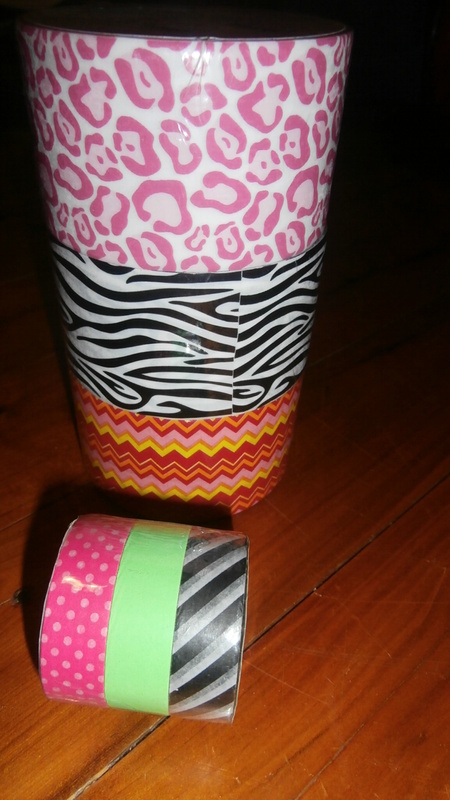 My picture today is of coloured tape and I have been wanting to buy some and try it out for a while. If you know me you will know that one of the things that I really like is stationary. I just can’t resist notebooks, new pens, different to do list, memo board, I really can’t. What will your challenge be for the month of November? I also want to remind you that November is – Random Acts of Kindness. If you know anyone who would love to be blessed please let me know.